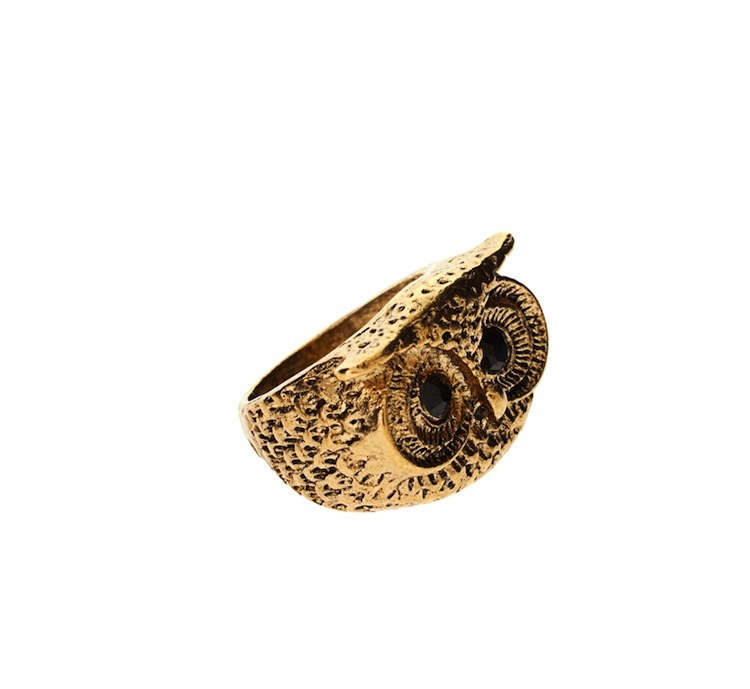 Owl ring by And Mary. 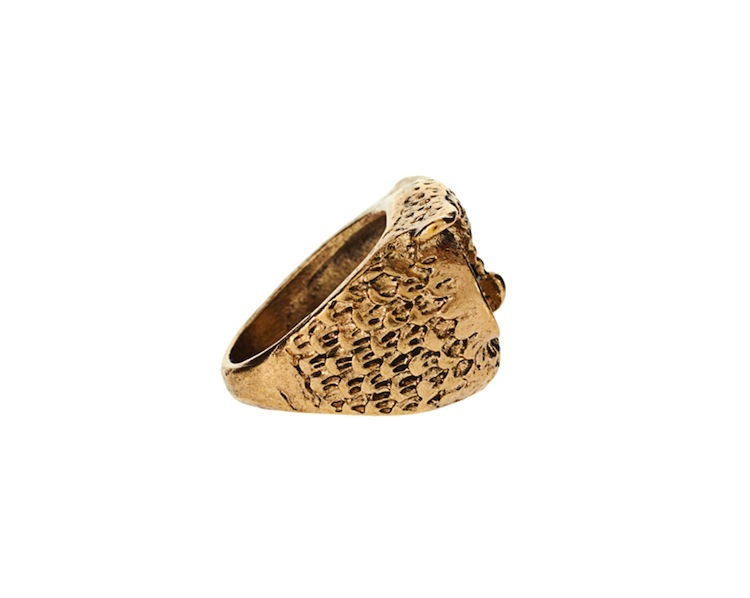 Crafted in an antiqued gold-tone metal. 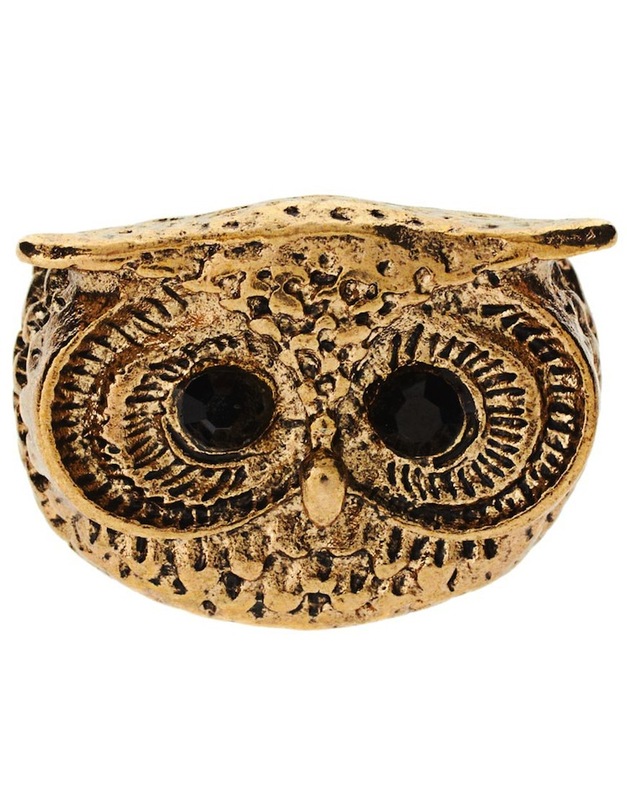 Featuring a tapered shank and a wide, chunky owl face design.